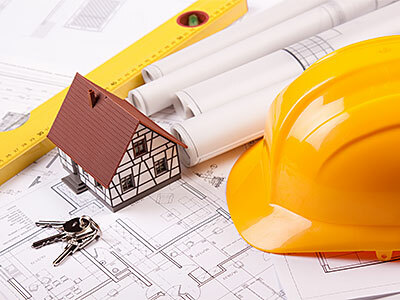 If you are embarking on a residential construction project with very specific requirements and a set budget then a turnkey construction option may be the right solution for you. We at Big Kahuna Construction Inc. are a unique company that provides excellent turnkey construction solutions to clients in and around Phoenix, Sun City, Peoria, and El Mirage. Creating stunning homes and ensuring that clients get custom solutions has helped us build a solid base in Scottsdale, Tempe, Glendale, and Surprise. Our expertise in this space has seen us create amazing structures in Sun City West, Goodyear, and Sun City West. Many property owners from the surrounding areas like Avondale and Mesa contact us for all their residential turnkey construction requirements. By definition, turnkey simply means “ready to use.” With reference to construction purposes, it means that we as your turkey contractor will complete all the work needed for you to live in your home. We handle every single aspect of the planning, design, and construction and give you a move-in ready space. All you have to do is turn the key to your new home. It sounds amazing doesn’t it? While most to-be homeowners want to be completely involved with their new home build project, most lead very busy schedules. This leaves them with very little time to follow every stage of the project and ensure its completed perfectly. What’s Included in Turnkey Projects? When you hire us for your turnkey project, we have detailed discussions with you to understand what your requirements are. If you have a very specific plan in mind, fixed installations and features and a set budget then we recommend a turnkey project. Since we are a full-service general contractor, we can handle complete design and planning, the actual project management during the construction phase. In addition to completing the house construction, we can also handle all the interior design work. What you get is a ready to live home. You can rest assured that once you have signed the agreement and approved the budget, our team will make sure that every stage of the project is completed on schedule and that you can move into your new home at the scheduled time. This proves to be a stress-free experience for you. When we handle this job, you have peace of mind that only the best materials will be used in and skilled tradespeople will be employed for the work. We never compromise on the quality of the solutions we provide but always maintain very affordableturnkey construction cost. Our aim is to provide you value for money in any job that we handle for you. If you are considering a turnkey home build project, we are the general contractors to call. With us, you are assured of top-notch services at the most competitive rates. For more information, call Big Kahuna Construction Inc. at 623-566-8809. You can send us your queries using this online form and our representatives will call you to discuss your project details.